Ohio Ignition Interlock and Drunk Driving Law 2016 – All 50 American states have some sort of ignition interlock law and currently 23 of the states have made it a mandatory provision for all offences under DUI. The National Highway Traffic Safety Administrations is responsible for the release of model guidelines for states which include the use or adoption of ignition interlock for first-time convicted drunk drivers. The NHTSA also encourages the states to establish a duration of time (minimum or maximum) in which offenders are supposed to use the interlocks. The reports also contain guidelines for vendors, service providers and for program administration. In Columbus, Ohio, lawmakers introduced a bill known as Annie’s Law, which is in honor of Annie Rooney- a star athlete and prosecuting attorney in Chillicothe, Ohio – after she was killed in a head-on crash by a drunk driver on July 4, 2013, at around 9pm. The bill was pulled last year September and billed again after some hurdles were addressed- it limited Judge and lawyer sentencing rules. The bill was approved on 12th of April this year by a house committee vote of 13-1. According to the bill, a driver’s blood-alcohol content must read less than .025 (a figure less than half the legal intoxication limit .08) to turn the ignition on. The bill states that an ignition interlock should be installed in first, second or subsequent offence driver’s vehicle. By doing so, the ignition interlock device makes it harder for any convicted driver from driving under intoxication. According to the passed bill, the first-time offender could lose his or her driver’s license for 12 months or the judge and driver agree to install Ignition interlock device with rolling breath tests. The bill also has a provision for failed attempt, where the convicted driver will receive an extended ignition interlock use duration after the device notifies the prosecuting attorney of a failed attempt. The ignition interlock devices improve monitoring and provide incentives for first-time offenders. It is believed that a mandatory ignition interlock on first-time offenders would create an impact on impaired driving. Last year, there were 21,000 cases of impaired driving arrests in Ohio. Annie’s Law is a must requirement for a driver who has been convicted two or more times for drunk driving. The driver will have to blow test as they drive. According to statistics, before a first-time offence, the driver must have been driving drunk 80 times. This bill focuses mostly on first-time offenders, maybe because it is a way to curb the problem from the roots. This has been criticized as a severer punishment to convicted drivers who have made the first mistake. The liquor and restaurant lobby is also against the bill if it brings any restrictions on alcohol use in Ohio. Since suspension period does not work, the Ohio ignition interlock law is the best alternative to curb drunk driving. More states are continuing to pass the laws that require ignition interlock devices for DUI and DWI offences. This is not only a booming growth in the alcohol ignition interlock industry, the states have recorded dramatic downturns in impaired driving collisions and deaths. In these states, everyone convicted of DWI-including first offenders- is recommended to install ignition interlocks. Texas is the last among these states that have allowed convicted drivers of DWI with blood alcohol content less than 0.15 percent to continue driving – provided that they ignition interlock systems installed in their cars. Pressure is mounting on the remaining states, and 2016 some of them will join the ignition interlock law wagon just like Ohio. When you hear the word “Ignition interlock device” you get this cloud in your mind and assume that it is something complicated that can only be understood by engineers. Well, there is no fancy word for it, you just have to take it the way it is. This is a device that connects a motor vehicle’s ignition system to a breath analyzer. Therefore, when you use the ignition system independently, the vehicle won’t start; you will need to provide a breath sample to activate the ignition system-the alcohol concertation should be below the preset level. These violations can also affect people who lend their vehicle to a convicted driver – who has an interlock license restriction- or blowing into the driver’s device to help him or her get to drive under intoxication. There are different models and types of an interlock device. Some of the devices require one to take a “rolling test”. To perform this test, the driver must blow into the breath analyzer after a predetermined mileage or period of time has elapsed. The purpose of this model is because people have become clever such that they allow other people to blow the device on their behalf to avoid making a failed attempt. It also serves the purpose of preventing the driver from consuming alcohol or other substance of abuse while operating the vehicle. When you are arrested and convicted for OVI (operating a vehicle while impaired) you have to face numerous penalties (mandatory and optional). The device is optional when imposed after the first offense and later becomes a mandatory device when imposed for a second or subsequent conviction within six years of the first conviction. It is a must to have the device installed if you want to continue using an occupational license. The court may order conditions of exercising limited driving privileges in case one is convicted for a DUI/OVI. One of this conditions is the use of immobilizing or disabling device. The most used immobilizing or disabling device is the ignition interlock device. The device is set for efficiency especially in monitoring limited driving privilege court orders. Its main task is to block the ignition system so that a convicted driver is not involved in any illegal traffic driving. To ensure that the offender does not use a vehicle that has no Ignition interlock device, the convicted driver receives a specially marked driver’s license. This special license restricts you from using any other vehicle apart from the one that has an interlock device installed. 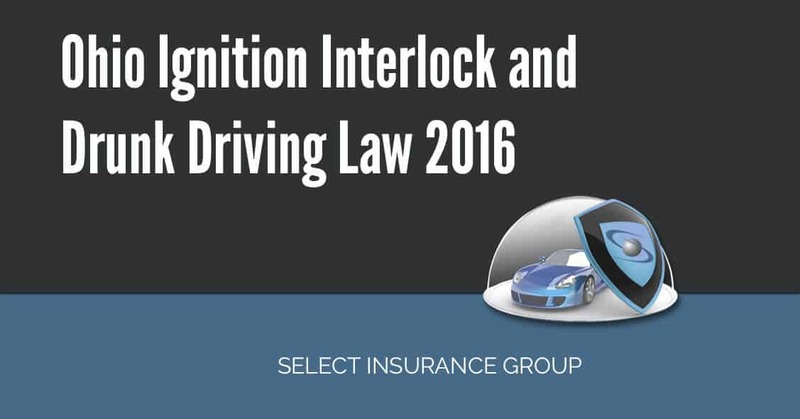 The installation of the interlock is not only a probation requirement, it also appears as a requirement that is to be satisfied for one to reinstate a full license, restricted license or hardship license. When you purchase an ignition interlock device, it is better to verify if it is accredited to the ISO 17025 laboratory management standard. Rule 4501-45-11 of the Administrative Code requires that the device should be tested by an independent testing laboratory before it is displayed for sale. The convicted fellow is responsible for the purchase installation and the removal of the device or payment of the monthly fee if it is on a lease. The manufacturer is expected to monitor the device according to the state guidelines- sometimes it is at predetermined intervals. Data (breath tests, missed tests or attempt to bypass or circumvent the system) will be collected by the company and made available to the authorities responsible for reviewing your progress. After being arrested for committing an OVI arrest, your license will be suspended in two different and independent ways: Administrative License Suspension (A.L.S) and the criminal court suspension. The A.L.S comes to effect when you refuse to submit to the available chemical tests advised by the arresting officer or when your blood alcohol concentration (BAC) level if .08 or more. The criminal court suspension occurs when you get a sentence after a plea or trial hearing. The table suggests that the A.L.S is dependent on the blood alcohol concentration (BAC) level, test refusal and the driving record of the offender. You can end your administrative license suspension upon conviction if you plead guilty or no contest. The time you have spent on ALS suspension will be credited against the criminal court suspension. The Ohio OVI is usually a misdemeanor but felony cases can arise. An OVI is a felony when you get a fourth conviction within a period of 6 years from the first one or when you cause an accident resulting in serious injury or deaths under OVI. In the first conviction, the court can replace the 3-day jail term with a 72-hour intervention program. Some of the guidelines may focus on the manufacturers of these devices. It requires them to obtain license and certification from the DMV before they are allowed to lease or sell ignition interlock device(s). They have to also file for original and renewal applications with the department and present document that is required for the process. The department has the authority to request for computerized criminal history from the manufacturers who are responsible for this process in terms of resources and costs. Therefore, the company that installs the interlock devices are supposed to record review, perform monthly maintenance and report to the DMV. They are supposed to inform the authorities when the driver tries to start a vehicle while over the breath-alcohol limit, tampers with or removes the device, fails to take a test when required and fails to appear at the company for the monthly review. The device must be installed on all vehicles in the offender’s name. According to the National Transportation Safety Board, the device can reduce recidivism among DUI offenders by up to 75%. Apart from recording the alcohol level, these computers can record the date and time of the test. You can download or print the results for review especially when you are reporting to a probation officer. The installation of ignition interlock law is reliable because it does not cause any inconvenience brought about by suspensions; the device gets you back on the road fast and easy. Considering that most of the drivers that increase the number of fatalities is as a result of repeat offenders, two-thirds of this problem can be reduced by imposing the use of ignition interlocks. By reducing the number of drunk drivers by 30 % and it helps save the lives of other drivers and pedestrians. The device gives you two choices: you both drink and forget about driving or you can drive while sober. If the cost of installation is expensive to a convicted driver, the court can reduce the fines to allow the driver pay for the installation cost and the monthly monitoring cost. The convicted driver is responsible for the installation and maintenance costs of the Ignition interlock device. The cost is roughly 80$ per month and may consist of additional charges when installing and removing the device. When using a rolling test model it can be dangerous especially when you are in the fast lane and the vehicle stops. But the driver is given a time limit, so this allows one to pull over and do the test. The law will push more cases to trial and impose punishments that are not in line with the conviction. The installation must be done by one of the Ohio’s certified ignition interlock providers who charges a range of $200 to $300 to install. The future of ignition interlock is promising since there is new technology being developed to make the Breathalyzer process easier. Others manufacturers are considering on using the steering wheel to read alcohol levels through the skin. The campaigns and supporters who believe in the proposed ignition interlock law made it possible for the Ohio ignition interlock law. Since this ignition interlock law was passed, the problem of losing employment due to mandatory license suspensions and discretionary driving privileges will be over. According to the bill, it was proposed the state of Ohio will consider replacing the mandatory license suspension with the mandatory ignition interlock and the replacement will also apply to first-time DUI offenders. Select Insurance Group is on the forefront of providing financial proof for convicted drivers who are on probation and license suspensions. The company will help you reinstate your full license when you have completed your waiting duration. Our services are efficient and reliable since we are the leading SR-22 insurance company in Ohio. Talk to us and learn more about our exceptional services. Newer What does an Ohio SR22 bond cover? Older Can I Get A CDL With A DUI On My Record In Ohio ? I love statistics almost as much as Mark Twain did when he said; There are liars, damn liars and then there are statistics. So, lets start…. “According to statistics, before a first-time offence, the driver must have been driving drunk 80 times” This one is amazing…like everyone who drives under the influence are absolute habitual offenders that run school children over at cross walks….What a joke…Again, these are the ones who got caught…how about the ones who did not…bet they have been doing it more than 80 times….a lot more….